There is something traditional and charming about a plain gold or silver wedding band. The lack of heavy embellishments always makes a statement about the wearer and gives any hand a truly elegant look. 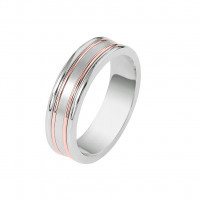 We offer a wide selection of unique wedding bands in your choice of metals, including yellow gold, white gold, rose gold, titanium, sterling silver and platinum, along with several two-tone styles that will catch the eye without sacrificing the simplicity of the style. 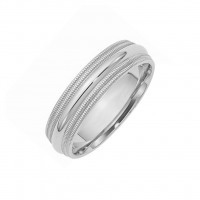 Customize the width of your ring and explore our easy styling options to create a plain wedding ring that is anything but ordinary.